The Space — Wonderbolt Productions Inc. Imagine a space in downtown St. John’s where you could help make your dreams come true.  A space where you could learn to fly, balance on stilts, spin on a unicycle and juggle your cares away. Imagine a state of the art, welcoming studio where students learn a variety of aerial arts, where people can practice, play and perform. Imagine a community resource, a high tech workshop, an amazing venue for your next special event. 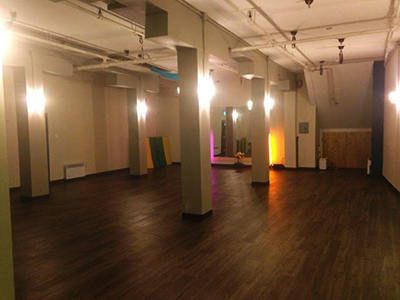 Imagine The Wonderbolt SPACE (Studio for the Physical Arts and Circus Education). The SPACE is a 1700 sq. ft. property in the heart of downtown designed to create and foster creativity and an appreciation of the Physical Arts. Our studio is a cool urban location capable of catering to a wide range of cultural and recreational uses. It is a fully equipped functional rehearsal space, circus school, mini theatre and physical arts studio, offering programs and opportunities to a wide spectrum of interests and ages, from toddlers to seniors. In an age of virtual reality we will provide the virtues of real activity. Operated by the Wonderbolt Circus, a company with a history of forty years of artistic achievement, The SPACE is a professionally designed, high grade facility with outstanding décor and exceptional functionality. In addition The SPACE is available to rent for your special event or meeting. We are ready to help you make your dreams take flight. Visit www.thespacenl.com for more information.